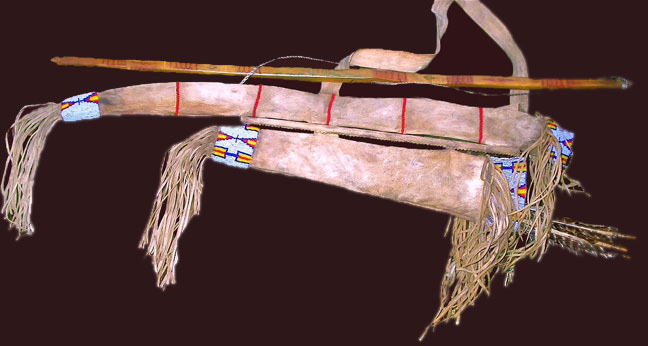 Here are just a few examples of bow cases and quivers that we have made for clients. 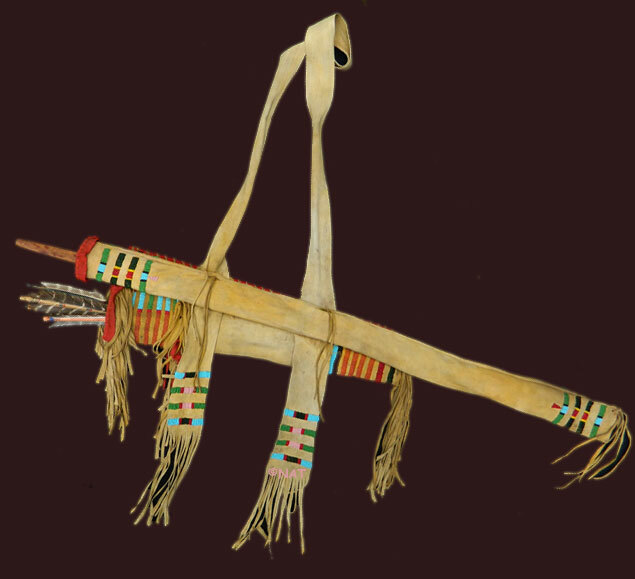 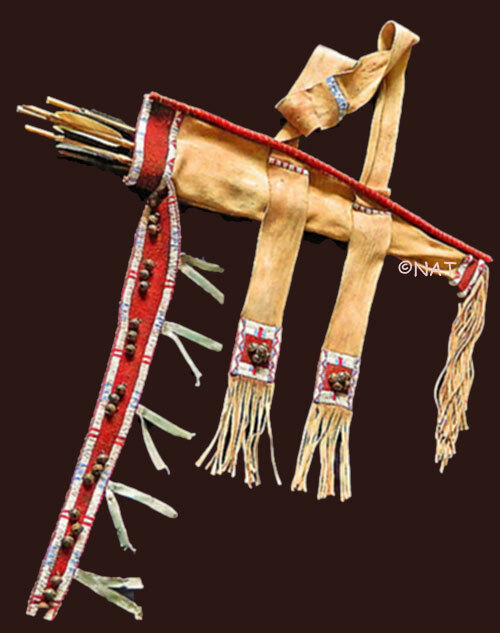 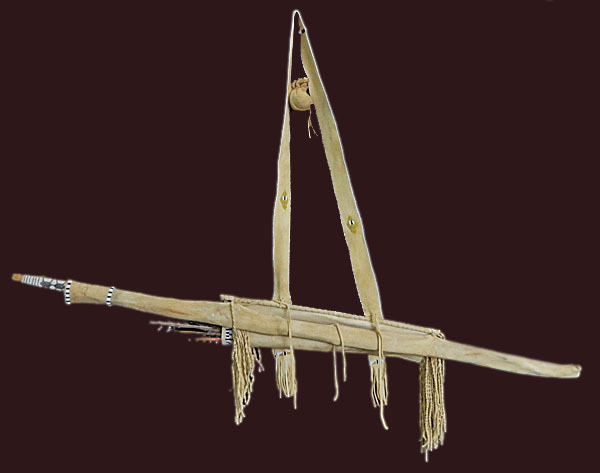 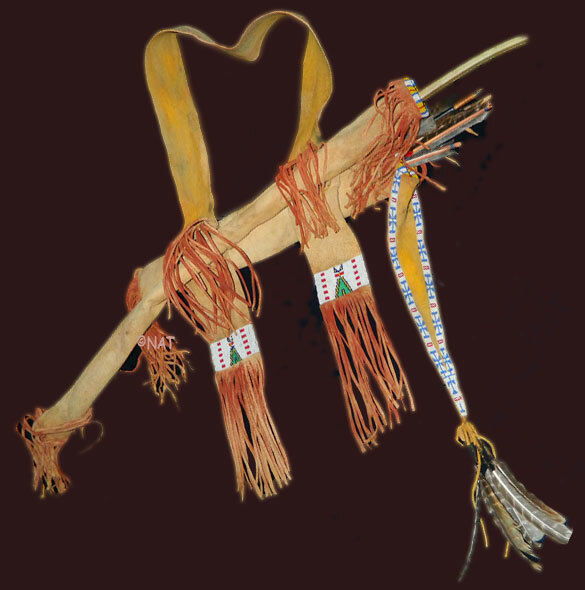 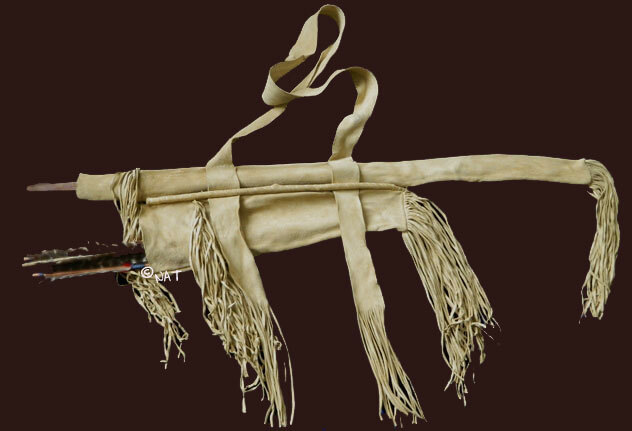 Please contact us to discuss what type of combination bow case or quiver that you would like for your personal collection - a museum replica or a personal design etc. 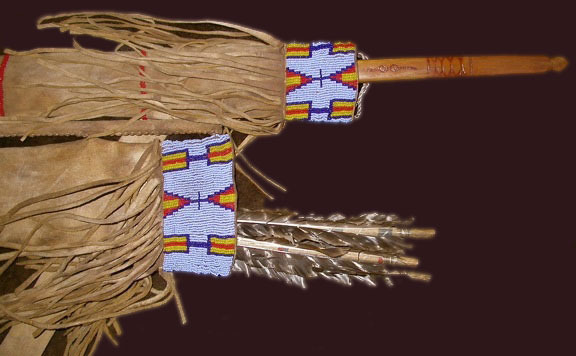 glass beads | pony beads | tin cones | horse hair | hawk bells fur | wool cloth | clay earth pigment paints etc. 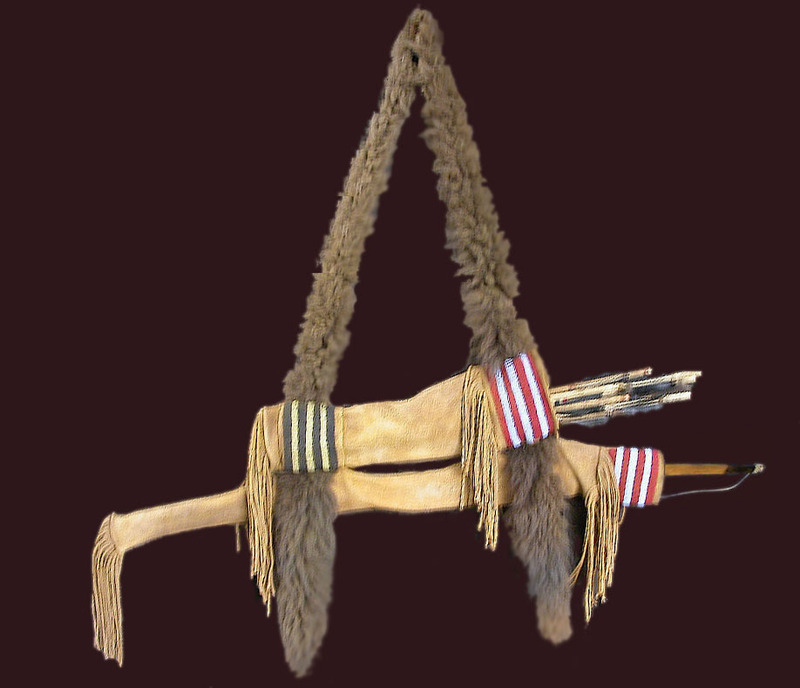 Combination bow case and quiver made for a client in Montana. 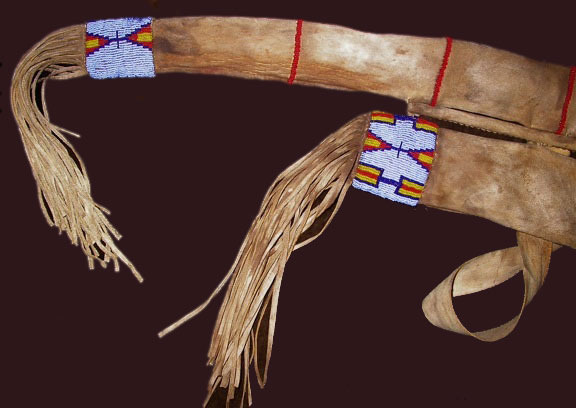 It is based on a museum example but with some color change requested by the customer.